When it comes to special occasions and family celebrations, staying in large luxury villas in Sicily is probably the easiest way to please everyone. Invest as much time as you can into choosing the right villa and the payoff will be a week full of memories that will last forever. 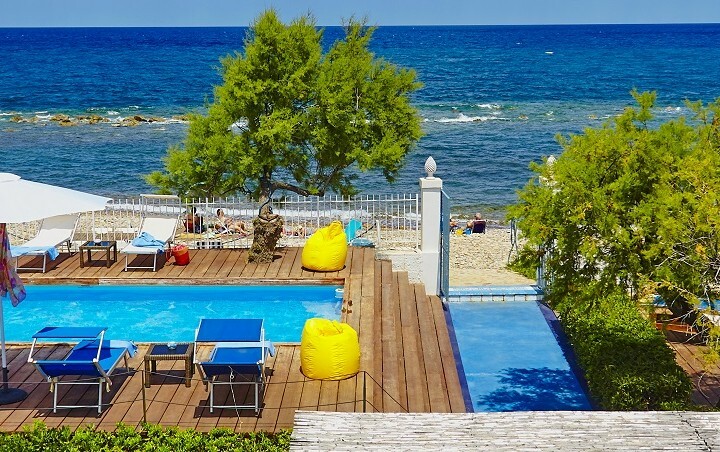 We have picked out three of our top large villas to rent in Sicily for two families and big groups, each with their own individual attractions. 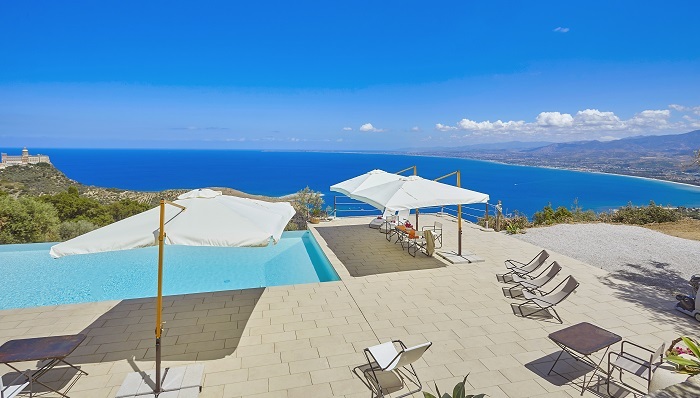 Tucked away in the Sicilian countryside, the focal point of Le Case di Tindari is a fabulous Sicily villa with 18m of pool with more than enough room for the estate’s 21 guests and dazzling views over the Tyrrhenian coast. Beyond the pool, there is table tennis and a football table, and a complex of apartments and cottages all enclosed by vast expanses of olive and oak trees and infused with the scent of rosemary and other Mediterranean herbs. 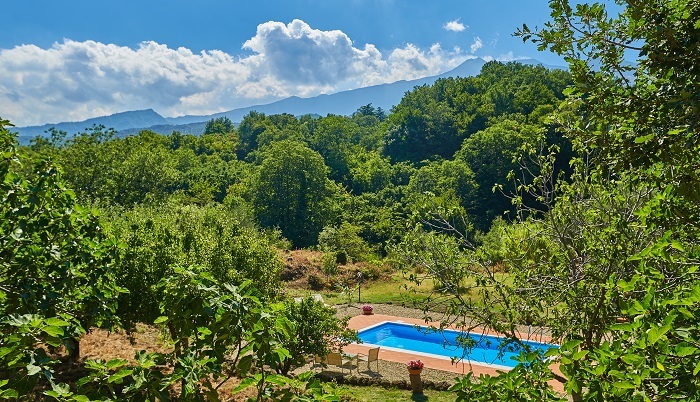 The stylishly converted accommodation at Le Case di Tindari works perfectly for extended families and groups looking for some independence, with accommodation for up to seven in the main farmhouse and a collection of apartments that sleep from two to four. 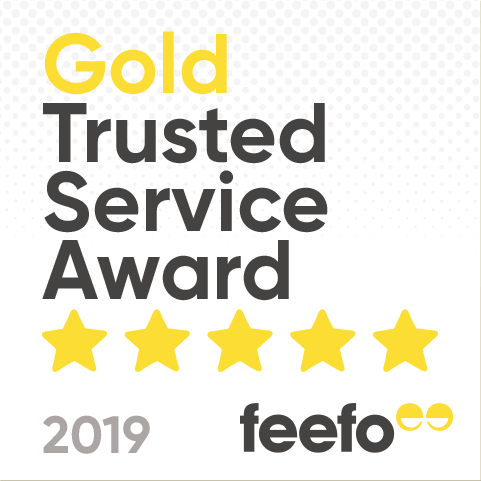 Gather on the vast dining terrace, which has a barbecue and original wood burning oven, for Italian-style al fresco dining or, for that special occasion, book a chef to take control and rustle up a fabulous Sicilian feast in a large holiday villa. Forest walks, lake swimming and delicious local gastronomy are just some of the attractions of a stay at Villa dei Nebrodi. 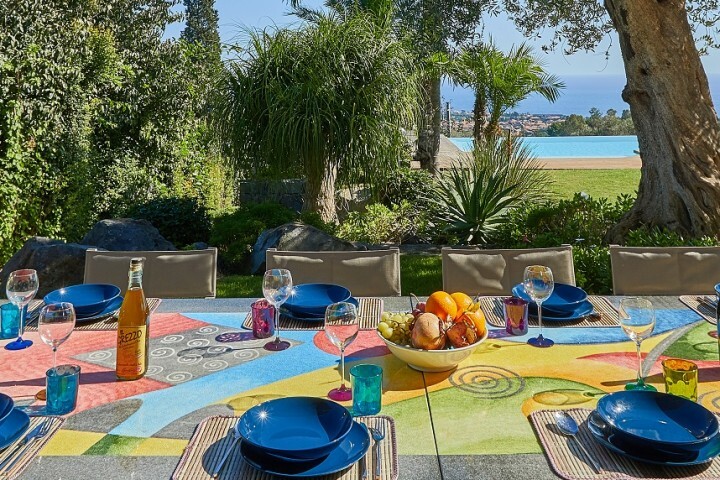 Large villa to rent in Sicily with 7-bedroom villa hovers at the edge of the Nebrodi mountains, one of Sicily’s least discovered regions, with poolside views over the pretty town of San Marco d’Alunzio and plenty of space in the garden for the kids to let off steam. Large luxury villa dei Nebrodi is ideal holiday for families and groups looking for a catered option. Come down each morning to a wonderful breakfast spread that includes local cheeses and ham and take advantage of our in-villa chef option for your evening meal. For groups looking for organised activities, there are hiking excursions to the dramatic Rocche del Crasto and gourmet tours in the surrounding area. 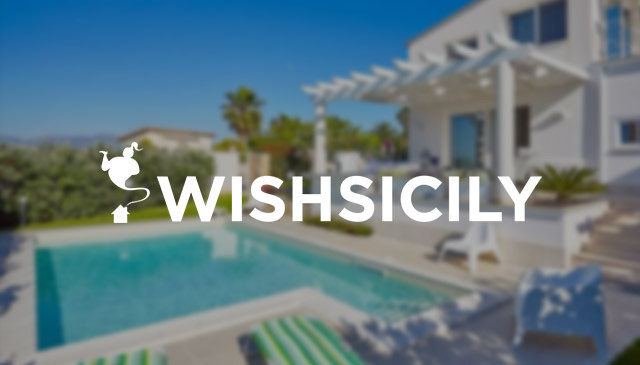 A choice Sicily villa with two pools, a children’s play area and several vast lawns are likely to be a winner for several families looking to holiday together. 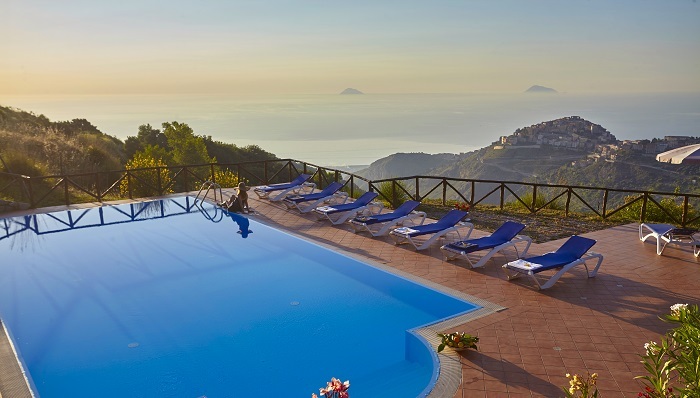 The three villas (sleep 8, 6, 4) at le Case dell’Etna are completely independent of one another and each have their own terraces and private outdoor space. Treat the kids to a fun-filled day out at Etnaland, a three-in-one theme park, aqua park and dinosaur park or, for the ultimate adventure, a cable car ride up Mount Etna.